Sephora Cream Lip Stain. Always Red 01. SEPHORA COLLECTION. Luster Matte Long-Wear Lip Color IN CRANBERRY FULL SIZE. 14 OZ NEW IN THE BOXAn ultralightweight, modern matte lip color with a subtle sheen. Sephora Cream Lip Stain. Pink Tea 40. Sephora Cream Lip Stain. Burnt Sienna 24. Sephora Rouge Infusion 10hr Lip Stain -10 Red Infusion. Condition is New. Shipped with USPS First Class Package. Sephora Collection Cream Lip Stain Samples. (2) Pink Tea Samples. (1) Bohemian Purple. SEPHORA COLLECTION. DEEP PLUM LUSTER. An ultralightweight, modern matte lip color with a subtle sheen. Luster Matte Long-Wear Lip Color. I will usually get back to you within 24 hours and often sooner than that. Sephora Lip Powder RETHINK PINK (burgundy) FULL Sz NEW! The targeted sponge-tip applicator, makes application easy. I'm not affiliated with Sephora or with an employee! Craig & Karl. Shade: Bold Glory ~ magenta pink. Based in New York and London, Craig & Karl are two designers known for their humorous and quirky graphics. Sephora lip stain sample in pink tea. ALL USED TOYS HAVE BEEN USED BY MY OWN CHILDREN AND NIECE. MOST OF THE TOYS ARE IN EXCELLENT CONDITION AND ALOT LOOK BARELY USED OR WERE JUST USED FOR DISPLAY. THE ITEM IN PICTURES IS THE EXACT ITEM YOU WILL RECEIVE AND NOTHING ELSE. SEPHORA COLLECTION. in the shade39 Frozen Strawberry. Sephora Cream Lip Stain~Chai latte(45)~ Brand new~Sealed!!! Chai latte(45). Cream Lip Stain. 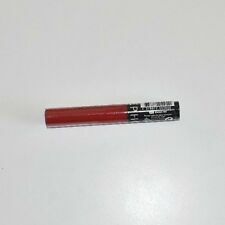 Sephora Lip Powder RUST RED FULL Sz NEW! Sephora Cream Lip Stain. Crimson Crush 43. "Chai latte(45)". Cream Lip Stain. 100% Authentic, fresh! SEPHORA Cream Lip Stain ENDLESS PINK 09 Liquid Lipstick Full Size NEW & SEALED!! It is full-size (5 ml/0.169 fl oz). Sephora Collection Cream Lip Stain in 35 Bohemian Purple Matte Finish - 0.04 oz. 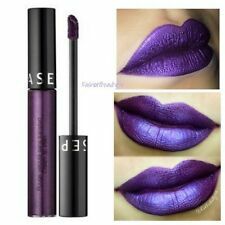 NEW Sephora Collection Cream Lip Stain in 35 Bohemian Purple Matte Finish - 0.04 oz.. Condition is New. Shipped with USPS First Class Package. Sephora Collection Cream lip stain last long gloss ORIGINAL 69 colours ORIGINAL! Sephora Collection Cream lip stain set, 4 pieces lipsticks Always red,Pink Tea..
43 Crimson Crush. A box composed of four mini shades of Cream lip stain. - 40 Pink Tea. - 01 Always Red. Local Collection. We are sending each item within 24 hrs. What it does. 25 Coral Sunset. 44 Purple Sunset. 43 Crimson Crush. 02 Classic Beige. We have 16 stunning colors 23 Cooper Blush. 26 Pretty Auburn. 29 Dark Forest.